With over 100 years of cleaning experience, Fuller Brush’s cleaning supplies make home cleaning much faster, better and easier. 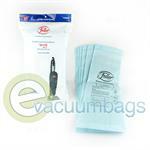 Fuller Brush Genuine Vacuum Bags feature a dust seal & closure to trap dust during bag changes. These high-filtration style bags are available for Fuller Brush Uprights, Speedy Maids, Canister Models, Compact Canister, Tiny Tank, Power Team, Heavy Duty, Professional, Standard, and Deluxe Series vacuums. 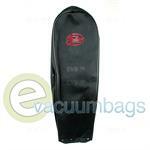 HEPA filtration cloth bags are also available for Fuller Brush Uprights. 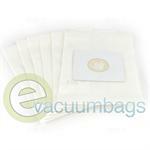 These disposable bags capture more airborne allergens and fine dust particles than standard bags do. Use these to prolong the life of your vacuum cleaner, as well as reduce the amount of dust in your home. Available for Fuller Brush Upright Vacuums including FB75, FB75T, FB80, FB80T, FB90, FB90T, FB95, FB95T, FBHD1, FBHD1T, FBHD2, FBHD2T. 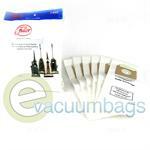 Genuine Paper Vacuum Bags for Fuller Brush and Fuller Brush Professional Upright Model Vacuums. 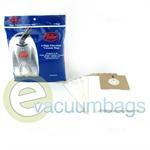 Paper Vacuum Bags for Fuller Brush FBCC1 Canister Vacuums. Outer Cloth Zipper Vacuum bag for Fuller Brush Speedy Maid Lightweight FB-SPDM Upright Model Vacuum Cleaner. 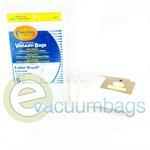 High Filtration Paper Vacuum Bags for Fuller Brush FB-SSCAN and FB-PTCAN Canister Model Vacuums. 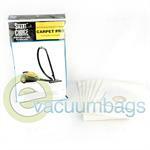 EnviroCare Paper Vacuum Bags for Fuller Brush FB-SSCAN and FB-PTCAN Canister Model Vacuums. 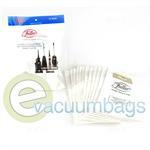 Genuine Paper Vacuum Bags for Fuller Brush Speedy Maid FB-SPDM Model Vacuum Cleaners.